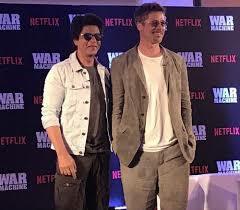 Mumbai: Hollywood superstar Brad Pitt is in India to promote his latest film, the Netflix satire ‘War Machine’. 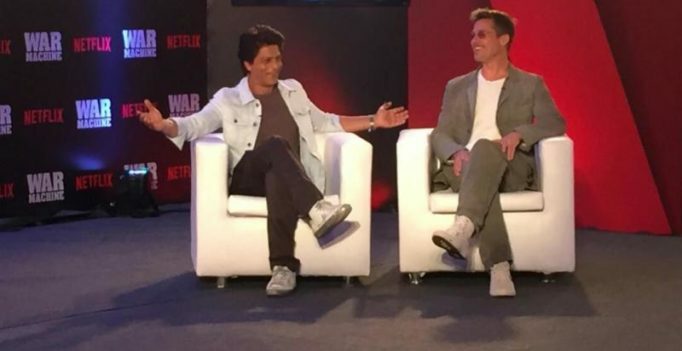 Bollywood star Shah Rukh Khan will be moderating a special chat session here with Pitt, in which the two actors will discuss the project. In the movie, the 53-year-old actor plays a US General posted in Afghanistan. 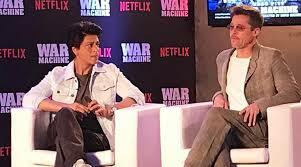 Directed by David Michod, of ‘Animal Kingdom’ fame, the Netflix Original film is inspired by the book ‘The Operators: The Wild & Terrifying Inside Story of America’s War in Afghanistan’ by late journalist Michael Hastings. An investment in the range of USD 60 million also makes it Netflix’s biggest-budget feature to date. Pitt’s character is loosely based on General Stanley A. McChrystal, a retired United States Army general best-known for his command of Joint Special Operations Command (JSOC). His last assignment was as Commander, International Security Assistance Force (ISAF) and Commander, US Forces Afghanistan. Hastings’s blistering profile on McChrystal led to his firing by Obama. Pitt’s company Plan B is also one of the producers of the film. The first big-budget Hollywood movie on Netflix will be released on May 26.